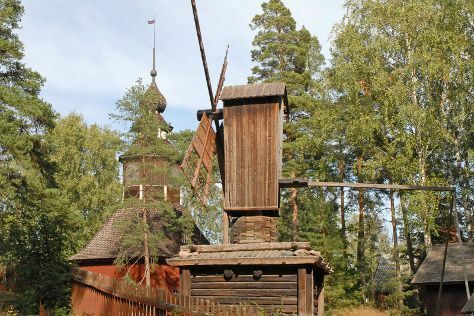 Satisfy your inner culture vulture at Seurasaari Island and Open-Air Museum and Kansallisgalleria. Explore hidden gems such as Arboretum Mustila and Bellevue Beach. Explore the numerous day-trip ideas around Helsinki: Porvoo Old Town (in Porvoo) and Sipoonkorven Kansallispuisto (in Vantaa). Pack the 23rd (Tue) with family-friendly diversions at Linnanmaki Amusement Park. For photos, ratings, other places to visit, and tourist information, read our Helsinki trip itinerary maker tool . If you are flying in from Italy, the closest major airport is Helsinki Vantaa Airport. In April in Helsinki, expect temperatures between 9°C during the day and 0°C at night. Wrap up your sightseeing on the 24th (Wed) early enough to travel back home.